From: The Published Articles of Ernest E. Larkin, O.Carm. Prayer is the heart of Teresa of Avila’s life and teaching, her “way of perfection.” For her, prayer is the supreme meaning and value of human existence, since it is the inner life that animates the exterior, the journey within that is the journey into reality. Prayer is life before it is an exercise, a dimension of being before it is an experience. Prayer means to be in touch with the Center of one’s life, who is “the Divine Majesty” dwelling in his own rooms in the depths of the interior castle, the figure for ourselves. This contact deep within where we merge with God and are transformed into God-centered persons makes us the “new creation” of Pauline theology and the dwelling place of God of Johannine writings. Thus our true center is both in us and beyond us, and the transcendence we yearn for is filled by God’s self-communication. Our center lives by the Center, and the result is fullness of life, perfect contemplation out of which flow community and ministry. We experience resonances of the divine Presence within from the beginning and all through our search for inner meaning and wholeness. These reverberations are experiences or clusters of experiences that constitute the passages along the way to the center. According to Teresa’s final accounting in her masterpiece, The Interior Castle, there are seven such passages, which she calls las moradas, dwelling places or mansions. The goal is the “Seventh Mansions,” which delineates life in and from the Center. The “VII Mansions” describe the fullness, while preceding mansions depict the first steps or partial and intermittent experiences of divine union. This union becomes identification in full consciousness in the spiritual marriage. Teresa warns frequently that the experiences are not to be given exaggerated importance. The pearl lies beneath them. Even so marvelous an experience as the infused prayer of union in the “V Mansions,” in which God’s presence is felt incontrovertibly, finds its greatest value in the fact that it proceeds from the conformity of the human will to God’s will. In other words progress is measured by the quality of one’s life, suggested but not exhausted by the experiences. This quality of life depends on how thoroughly one has become centered in the divine Center. This essay attempts to present a brief portrait of prayer as centering in Teresa’s teaching, especially as found in The Interior Castle. We begin with the goal (Part 1), since this reveals the way (Part 2), and we will conclude with some reflections on the process. The “VII Mansions” exhibit a style of life that externally is a return to the ordinary. The center has been reached as a permanent dwelling place, and normalcy has replaced the fireworks of the “IV, V, and VI Mansions.” There is now a single source of life, and it pulsates in all directions from the depth point or summit within. Mystical phenomena, including the oblivions of the “IV Mansions” and the suspensions of the “V and VI Mansions,” have largely disappeared, as have the disorienting darkness and debilitating suffering which are the purifications of the “VI Mansions.” Now all is peace and calm, at least within, even though the yearning to suffer with Christ continues and the trials of life do not disappear. The difference in the “VII Mansions” is harmony between the inner and outer sides of life. A new identity has been achieved. Polarities and discontinuities between the human and the divine, between body and soul, between this world and heaven have been resolved in the unity possible this side of the beatific vision. This coincidentia oppositorum leaves intact whatever is authentically human and brings to a higher synthesis contemplation and action, life and ministry, the sacred and the secular, “genuine devotion,” which is Teresa’s phrase for the goal of all prayer life and consists in the determination to do God’s will, and human fulfillment. The “new person” is not a demi-god. Teresa was never more human than in these higher reaches of maturity in Christ which marked the last years of her life. Her Earthly realism and humor, her ups and downs, her attractive femininity, even the feminine “weakness” of a profoundly affectionate nature, which found expression in her deeply loving relationship with Jerome Gracian, who had come into the Reform in the late years of her life and immediately captured her imagination and heart, were heightened rather than inhibited by her sanctity. The center turns out to be, not only the deepest point, but the most pervasive influence, touching every corner of the body-soul composite. It is everywhere. The medieval axiom puts the truth graphically: “God is a circle, whose center is everywhere and whose circumference is nowhere.” What is true of God is true in its own way of the image of God who is the human being. Human beings too have diffuse centers which are their deepest reality and touch every area of their activity. Geographical language can be misleading here. Neither the “higher part” of the soul nor the spirit is distinct entities or parts of the soul. They are different levels of operation and not different places. Two levels are contrasted. The soul is functioning in its “higher part” when it is seized by the superior Force and left unable to function in other ways for as long as the union lasts as in the V and VI Mansions. The same soul is acting on the “spirit” level when its deepest potential is actualized, when it is completely surrendered and filled with God. The person and God now flow together; two loves mesh into one indissoluble life. The human being is like a drop of water lost in the sea. Teresa and God are joined together, not like two wicks giving out one flame, as in the experience of union in the previous two mansions, but like two liquids dissolved into one or like the light in the room that comes from two windows. “The soul,” writes Teresa, who then corrects herself, “I mean the spirit is made one with God.” The union is no longer violent, as it were, in brief spurts and with the silencing of much of the human psyche, which Teresa calls suspension of the faculties. Here the conversion is so deep that all levels of the psyche participate, and the change is permanent and non-violent. Henceforth communication is patently from the nerve center deep within. Throughout the journey, the divine initiative is operative in every salutary step. Now these movements of grace are part of the human consciousness. The daughter knows the King from within, because she is in touch with the hitherto unconscious recesses of her own person. The harmony and peace come precisely because the ground of the meeting is beyond the conflict of opposites. The soul has come home, and by divine gift it is aware of the very ground of its being. Even Teresa’s inaugural visions of the Sacred Humanity and the Trinity that announce the spiritual marriage strike her as totally different from earlier visions. These too are resonances from within, profound, intuitive understandings of the ineffable Presence. It is as if the divine self-communication has broken all barriers and flooded the human consciousness. In an image reminiscent of Isaiah 55 and Saint John of the Cross’s figure of God as Mother the new life pours into the psyche like “streams of milk from those divine breasts bringing comfort to all the people in the castle.” The people in question are personifications of the faculties or human powers acting on the different levels of life. The whole person vibrates with the Presence of God, breathes his Spirit, lives and moves in him. The Indwelling is “Someone in the interior depths who shoots these arrows and gives life to this life.” He is like the sun sending bright rays to the most distant comers of the interiority. The abiding Presence creates a persistent sense of peace, whatever the exterior state of affairs. Outer and inner have become one without annihilating or even eclipsing the lesser. On the contrary, the human has achieved its ultimate potential: it has become divinized, and this, as contemporary theology emphasizes, is its full humanization. The Interior Castle is basically a record of spiritual experiences and their fallout. Self-knowledge, self-surrender, humility and love, joy and sorrow, as well as properly mystical gifts like loving absorptions in God, visions and locutions fill the castle’s rooms. It is important not to get distracted by this richness of experiences or the lessons they leave and thereby miss the central thrust of the whole adventure. That thrust is precisely the centering and the new life to be found in the center. The search is for self-discovery. Woman of faith and daughter of the church as she was, Teresa knew beforehand in faith but now learned by experience that self-discovery is finding the Trinity deep within her own life. Experiences are the markers, and prayer experiences are the main indicators. Prayer is “the door of entry” to the castle. The prayer in view is contemplative, at least in thrust. In her Life Teresa uses the phrase “the practice of prayer” to refer to her serious pursuit of God. It is commitment to friendship with Christ and the willingness to share time and life with him. “The practice of prayer” is not discursive prayer as such, much less vocal prayer, although neither of these two prayer forms is excluded. Teresa’s phrase refers to the search for contact with God, presence, awareness, whatever the form it takes. In her own case the prayer was “active recollection,” since she dates the beginning of her “practice of prayer” from her discovery of this method in Francis of Osuna’s Third Spiritual Alphabet three years after her entrance into the Incarnation. Active recollection is similar to the imageless “centering prayer” presented by Basil Pennington and currently popular in North America. Osuna’s no pensar nada [think nothing] could easily be the shibboleth of centering prayer. A significant difference between the two methods, however, is the mantra or sacred word repeated over and over as a focusing agent for a mind not integrated enough to dwell alone in total silence before God. The support of the mantra is a crutch which might have spared Teresa a great deal of trouble. In spite of her attraction to Osuna’s method she was unable to maintain a state of pure emptiness within. Thus she introduced imagery and simple reflections, particularly scenes from the Passion of Jesus, and alternated the silence with reflection. It took Teresa many years, much struggle, and eventually adroit direction from some young Jesuit priests to unite in an organic way contemplative presence, which for her is prayer itself, and the use of the image. 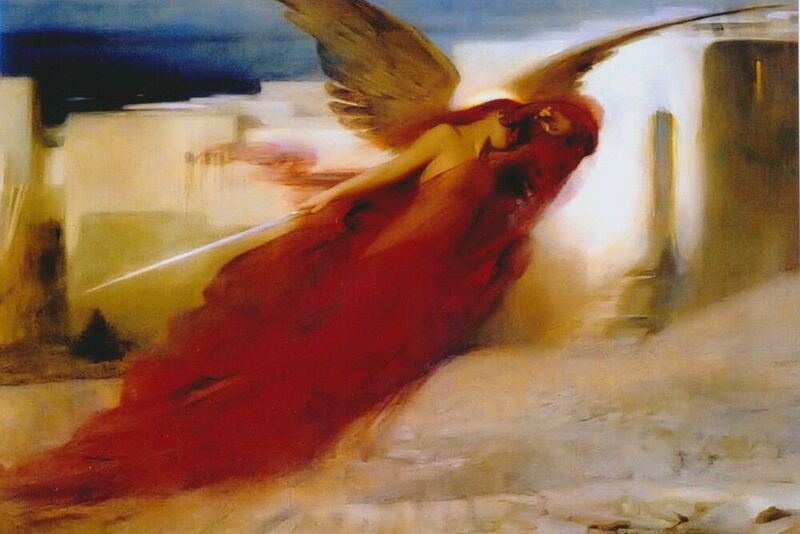 Eventually the way of the image, specifically the image of the Sacred Humanity, became the beginning and the point of constant return of her prayer, no matter how exalted the mystical experiences that might come in between times. Teresa’s prayer thus has a contemplative orientation from the start. She admitted freely that she could never pray discursively or imaginatively. But images could and did offer themselves as a vehicle through which she could enter the divine Presence. To stand alone before the Lord in all one’s dividedness, ambivalence, and weakness, without the cover of a lot of discourse or imaginative work, is to become vulnerable. The fallout from this experience is self-knowledge, which is part of every mansion, but constitutive of “I Mansions.” The light of God’s love, which becomes progressively searing as the person grows in the strength to bear that love, exposes brokenness and limits and uncovers the evil lurking beneath the surface. The “I Mansions” are the first glimpse into this state. In the “II Mansions,” when prayer has become regular, the evil begins to be recognized as one’s own. The soul now hears the divine call to conversion. If the challenge is accepted without turning back, a true spiritual life is launched. The neophyte faces the self honestly in all its weakness and takes some first steps. Without realizing it, perhaps, the beginner is allowing the healing power of God’s love to bring it to wholeness. This will come especially by learning to recognize and acknowledge human weakness. Self-acceptance at each point along the way is possible, in view of the increasing revelation of one’s sinfulness, only by the prior love of God; paradoxically a sense of one’s own void increases as the love of God becomes stronger. Faithfulness to prayer is the keystone and humility is the fruit. In the beginning the field of effort is largely exterior and the immediate goal is self-mastery and control. Thus the achievement in these early stages, impressive as it is, is limited and inevitably flawed because it is ego-centric rather than God-centered. It is off-center. The “III Mansions” are Teresa’s incisive critique of this achievement. These mansions were Teresa’s dwelling place for most of an eighteen year period, from 1538 to 1556, when she struggled “to harmonize these two contraries—so inimical to one another—such as are the spiritual life and sensory joys, pleasures, and pastimes.” The problem was ambivalence, which is the challenge of all human growth. Teresa experienced what the biblical tradition teaches throughout, our need for God. The contrary pulls we find in our mysterious natures are too recalcitrant to be resolved by human ingenuity. Management, control, and manipulation are human responses and can do only so much. The resolution of the ambivalence will occur only by moving to a deeper level in one’s life where the opposites can come together in a new synthesis. This is a move into the divine ambience. Teresa’s call is urgent: “Enter, enter, my daughters, into the interior rooms; pass on from your little works.” At ever-deeper vantage points our life is seen in starker truth and more glaring falseness, because then it is seen, more and more “in God.” This is a gradual process, which demands patience as well as courage. It also demands unlimited trust in God, especially as new vistas of the abyss open up. Ultimately only Jesus Christ heals the ambivalence (Romans, 7:24-25). Teresa specifies the Pauline teaching: ascetical efforts under grace can achieve the “III Mansions,” but only pure gift, signaled by the mystical experiences of gustos (“IV Mansions”) or “union” (“V and VI Mansions”) can bring the person to the deepest center, where ambivalence is finally resolved. Gustos, translated as “spiritual delight,” is contrasted to contentos, which is the well-known sensible consolation in spiritual literature. Gustos or the prayer of quiet is the first clearly discernible grace of contemplation in the strict sense in Teresa; it is the counterpart of John of the Cross’s dark night of sense. For both saints contemplation is the healing, purifying and transforming agent that brings wholeness. Gustos is the outcome, though totally unpredictable, of the contemplative shift of the “IV Mansions,” when one stops trying to conquer God and lets God conquer the self. The psychological repercussions of this in-breaking of God’s will vary. Teresa, for example, follows an undulating pattern of light and darkness that is diffuse and alternates between effort and surrender; John of the Cross presents a black-white picture, moving from peak to abyss and back to the heights again with a certain absoluteness. The more substantive experience is the “letting go, letting God”; it is the best proof that movement is going forward and the person is getting in touch with the inner topography of the soul in its grandeur and misery. The “IV Mansions” announce that God is near, the “V and VI Mansions” that he is within. It is significant that The Interior Castle has no extended treatment of the final aspect of the way, human relationships, until the “V Mansions.” Human relationships are the context of the journey. 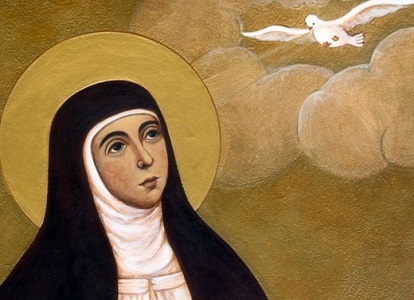 In her earlier, The Way of Perfection, Teresa had set down fraternal charity as one of the three essential conditions for a life of prayer, the other two key attitudes being detachment and humility. Her doctrine on fraternal charity in that place is nuanced and practical and surprisingly contemporary, even in our anthropocentric times. Her more doctrinal statement in the “V Mansions,” Chapter 3, is equally helpful. The inner journey is thus validated and measured by the quality of one’s interpersonal relationships. The search for God cannot be an individualistic affair, an ego-trip independent of self-sacrificing and giving love. But fraternal relationships are not just the effect of the love of God in which they are rooted; they are an essential condition for growth. This is true of love given and love received. The two aspects are mutual, and our ability to give love is dependent on the experience of receiving love. This finding of contemporary psychology did not escape Teresa’s notice. She yearned for spiritual friends and a life-giving community as the necessary support of her prayer life. She knew by experience that love received from God in prayer and from others in friendship and community allowed one to become one’s self, to transcend one’s ego-centric nature, and to find God in solitude. This insight, illuminated by some thoughts from the developmental psychologist Erik Erikson, will help our reflections in the final section of this paper on the process of centering in Teresa. The spiritual life reverts around three angles of a triangle designated respectively God, self, and others. The life itself is the circle that transcribes these angles. The circle begins in God with the gift of his love poured forth in our hearts by the Holy Spirit who is given us, (Romans 5:5). The love finds its object in all three points of the triangle, in authentic self-love, love of others, and love of God himself. The circle is not static; it spirals upward and inward, always touching the same three objects but narrowing its circumference as it tightens the inter-relationships between God, self and others. Thus the circle of love collapses the triangle in seven different stages and eventually identifies itself with the very center, Jesus Christ in the “VII Mansions” of the castle. Teresa’s point of view in charting this spiral is growth in the love of God. She is the first to admit, however, the difficulties in gauging our growth from this relationship in itself. We do well to seek enlightenment elsewhere and on Teresa’s advice precisely in the relationship with others. To study the process, moreover, means more than establishing stages of development, i.e., the outcomes along the way. It addresses as well the dynamics of growth, the inner laws that help to explain why one person moves from one stage to the next, whereas another remains in the same place. Contemporary psychology has begun to address this question, and one of the most important pioneers in the field is the Harvard psychologist, Erik Erikson. His eight stages of human development are well known and can supply some insights into the mansions. Teresa’s own teaching on fraternal charity in The Way of Perfection is set in a developmental framework. If we can correlate these two expositions, we may gain some helpful knowledge on the process of moving from one mansion to another. Teresa discusses two kinds of love of neighbor, one an imperfect kind that is “spiritual mixed with our own sensuality and weakness or good love,” and the other “spiritual love.” These two loves are distinguished from each other on the same basis as contentos and gustos, i.e., in their structure and source. While all love worthy of the name contains an element of the spirit and is, therefore, touched by grace, imperfect love comes both from the spirit and natural attraction, such as blood relationship or human affection. Spiritual love comes directly from the center. It carries forth in its movement all that is authentically human in the affectivity and bodily expression, marshalling these factors in order and balance. The more one is in touch with the center, the more spiritual will be the love, as well as the more genuine, passionate, and benevolent. “In short,” Teresa concludes, “it is love.” The more fragmented and many-minded the person, on the other hand, the more likely the human love will be a mixture of true love and infatuation, dependency, and self-serving. I suggest that Erikson’s last four categories of adult development—identity, intimacy, generativity, and integrity—correspond on the psychosocial level to the spiritual perspectives of the mansions. Identity is related to the “III Mansions”, intimacy to the IV, generativity to the V, and VI (which are really one mansion according to Teresa), and integrity to the VII. This correlation allows us to apply the insights of Erikson to the movement from imperfect to spiritual love in The Interior Castle. Identity has to do with role and function and one’s place in society. It is negotiated by feedback, especially from peers who affirm one’s life style, life project, and behavior and thereby contribute to a sense of comfortableness in the way one perceives himself or herself in the social context. The feedback establishes the emerging adult, who is fragile and needy and at the threshold of “the search for the soul.” The task is to “find oneself’ in an adult world and to internalize society’s expectations. Public opinion and community approval become extremely important, sometimes tyrannizing, and the loss of face can be traumatic. The level of the love at work in the process would hardly exceed the imperfect category of need-love. Identity established, the developing person wants more. He wants to be loved, not for what he does, but for what he is. This is the challenge of intimacy and a “IV Mansions” experience. Intimacy might be translated as transparency, since it is achieved by personal self-revelation either to one person or to a small group. This revelation brings a deeper level of self-acceptance, because the person experiences the exhilaration of sharing the whole truth, good and bad, about himself and at the same time loving acceptance. True friendship emerges. It is pure gift, undeserved but given lovingly to one who has taken the risk of getting more deeply in touch with the self and exposing that vulnerability. Friendship and community are born out of shared weakness. The cost of intimacy is high, since it involves the removal of the persona and masks of the “III Mansions” to allow meeting on a deeper level. The love here is moving in the direction of gift-love, which is spiritual. Intimacy in this sense opens the way to a generative love, i.e., the giving love that is Christian charity. Generative people are secure enough in themselves to move to the transpersonal level of other persons and God. Generative persons are “for others,” because they wish to share what they have received. This state represents psychological and spiritual maturity and corresponds to “V and VI Mansion” living. The final growth state is integrity or full self-actualization. It represents in psychosocial terms the achievement of detachment. There is a whole-hearted acceptance of reality, good and bad, successes and failures, including the limits of life, especially one’s own death. Self-acceptance has come full term, and deep peace prevails. This is gospel poverty of spirit. In the opinion of Teresa and, more explicitly, of John of the Cross, there is hardly a difference between poverty of spirit and contemplation. The fullness of both qualities graces the “VII Mansions” and is the final outcome from the turn to the center in one’s life. This brief synthesis suggests that Teresa’s life experience and teaching on prayer have a relevance that transcends the centuries. She speaks to our own time and to persons in every walk of life. Contemporary writers may speak a language that is easier to understand. They have yet to withstand the test of time, however, as spokespersons for the tradition. Four hundred years after her death Teresa remains one of the most experienced and authoritative guides for the inner journey, a doctor of the church, and living witness that the journey within is indeed the journey into reality.